I have heard of this cold hardy palm tree called the Pindo Palm. It looks very beautiful and I was wondering if I was able to grow it in Ohio. out West. It would not survive an Ohio winter. You could try growing it indoors. too big for your home. Give it lots of light and regular water. Go for it. 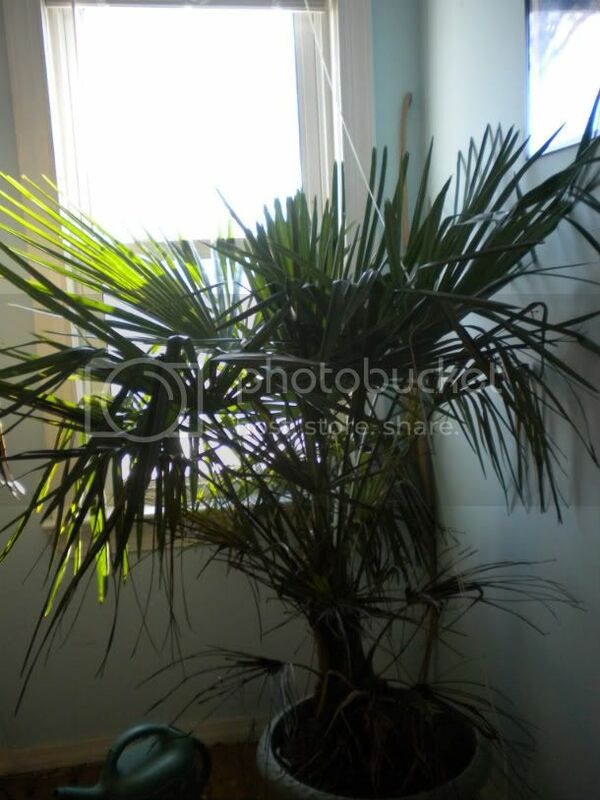 There's something called a Needle Palm tree that is supposed to be hardy to zone 5. Pindo palms are marginal at best and even with the best protection will defioliate every winter at best ( guess how I know? ) The needle palm ( Rhapidophylum Histrix ) is very hardy... possibly the cold hardiest palm known and will certainly survive a zone 5 winter though its more of a clumping shrub like plant. The best choice of a taller growing palm in your area would be a Chinese windmill palm ( Trachycarpus Fortunei) aka chusan palm and not to be confused with the more common Chinese fan palm which looks similar. Most of the hardy palms that we zone 5 and 6 gardeners can grow are fan palms as opposed to the pinnate varieties such as a coconut..... and Pindo which probably is the hardiest of the pinnate varieties. A caveat is that these palms require winter protection for at least the first 3 years to get them well established and therefore more cold hardy. I use a simple wrap of tar paper covered by a tarp as well as a thick layer of mulch around the base and have been successful overwintering all these for 3 years now. A great book covering this subject is "Palms wont live here and other myths"... ( coincidently written by a gardener in Ohio! )I forgot the author and just lent out the book. There's many other marginally hardy palms that can be attempted in your zone but these two are hands down the best choices for a begginer.